Bariatric surgery, also commonly referred to as weight loss surgery, is generally performed on patients struggling with obesity. There are several types of bariatric surgery, but they all aim to decrease food intake with the goal of rapid weight loss. At Rose Center for Bariatrics, weight loss is a team effort. We pair cutting-edge surgical procedures with resources, such as informational seminars, classes, support groups and exercise networks, to find a weight loss solution that is the perfect fit for you. Our bariatric surgery center is the largest and most comprehensive bariatric surgery program in the Rocky Mountain region, having performed more than 6,000 weight loss procedures. To contact Rose Center for Bariatrics, please email or call us at (303) 320-7673. Rose Medical Center boasts one of the most experienced bariatric surgery programs in the U.S. Our bariatric surgeons combine clinical excellence with educational programs to give each patient the best possible outcome after his or her bariatric surgery. Our program is a Bariatric Center of Excellence, as designated by the American Society for Metabolic and Bariatric Surgery. The patients at Rose Center for Bariatrics who have undergone weight loss surgery have lost a combined half-a-million pounds and resolved countless numbers of unhealthy weight-related health conditions. When you choose Rose Center for Bariatrics, you are choosing one of the most experienced weight loss programs in Colorado. Our surgeons have performed thousands of weight loss surgeries with safety and complication rates better than the national average. We provide you with the resources and lifestyle coaching you need to keep the weight off as you continue upon your journey to a happier, healthier you. Our genuine care and compassion for patients is reflected in the firm commitment to improving your health and quality of life pre- and post-surgery. The future of weight loss surgery is here with laparoscopic and robotic surgical techniques. The minimally-invasive bariatric surgeons at Rose Medical Center are giving our bariatric patients a new lease on life with the added benefits of minimally-invasive procedures: less pain, fewer complications and minimal scarring. Our bariatric surgeons perform the following weight loss procedures utilizing minimally-invasive techniques: adjustable gastric banding, sleeve gastrectomy and Roux-en-Y gastric bypass. Surgery is only one of many steps in your surgical weight loss journey. For each stage of the process, we offer a variety of support groups, nutrition seminars and exercise classes to help you maintain your ongoing weight loss success. Support groups and classes meet regularly and are supervised by our bariatric surgery team. Most of our classes can be attended by teleconference, if you do not live in the Denver area. If you have questions, please email or call us at (303) 320-7673. Our support groups are designed to allow you to ask questions, gain ideas, discover new motivation, discuss struggles and receive overall support from others who understand where you are coming from. You are welcome to bring guests to any group. This class is required before you have surgery. You will learn more about the surgery itself, nutritional requirements to be successful, vitamins, protein supplements and exercise. One support person is welcome as space is limited. You will receive a confirmation email with the date and time of the classes as well as the location once you register. You may attend the class as many times as you would like, but only once is required. This class was created to help you understand the diet progression and its importance after surgery. We have a class on each diet transition as you go through it to help you navigate through your healing process. This can help reinforce your new lifestyle and establish good habits after weight loss surgery. This is the perfect class for a refresher on nutrition and exercise, six months after your bariatric surgery. In this class, you will learn great tips from our registered dietitians on recipes and ways to mix it up. This class is offered February through November. In this class, you will learn lots of new recipe ideas. With the help of a registered dietician, you will learn how to eat to be successful as you continue your weight loss journey. This group meets at a restaurant once per quarter to go over healthy menu choices, how to prevent overeating and best strategies for following the rules of the tool when you are on-the-go. Why choose Rose for weight loss? The Rose Center for Bariatrics is recognized as a leader in safety and effectiveness. 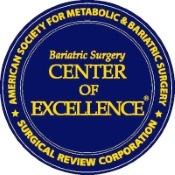 We are one of the longest standing Centers of Excellence in the U.S. and have been an accredited bariatric center since 2004. Rose Medical Center is recognized as a Magnet® designated hospital, a rare achievement that distinguishes organizations, like Rose, that meet rigorous standards for nursing excellence. U.S. News & World Report named Rose Medical Center the #4 Best Hospital in Colorado and the Denver metro area. Rose is a Fully-Accredited Center with Adolescent Qualifications by MBSAQIP. Rose is a member of the Aetna Institute of Quality. We are one of the first in the nation to be designated a Blue Distinction Center+ for Bariatric Surgery by Anthem Blue Cross Blue Shield. IBM-Watson has named Rose Medical Center one of the nation’s 100 Top Hospitals 12 years in a row. Staff who are eager to help answer all pre-and post-surgical questions, including whether you are considered a candidate for bariatric surgery. One of the highest volume centers in the Colorado, New Mexico, Wyoming, Kansas and Nebraska regions, resulting in standardized care and quality for all our patients, while still providing an individualized approach to supportive aftercare. Bariatric-specialized and experienced anesthesiologists, pulmonologists, intensivists, mental health professionals, gastroenterologists, radiologists, cardiologists, nutritionists and support staff. A program director in-house at Rose Center for Bariatrics who coordinates all activities, manages patient interactions by coordinating with surgeons and staff and coordinates all patient education. Affordable prices and expert care coordinators to assist you with financial and insurance matters. Specialty programs to help you succeed, including our travel program, diabetic program, teen program, pregnancy program and Fast Track program. Comprehensive pre- and post-surgery patient support and education groups. Sensitive care and handling by every member of the Rose Center for Bariatrics team. State-of-the-art technology and advanced laparoscopic (minimally-invasive) capabilities. Post-operative rooms with specialized equipment for bariatric surgery patients. Participation with a large array of insurance companies, including Medicare. Additionally, we consistently exceed and report quality standards to comply with the American Society for Metabolic and Bariatric Surgery, MBSAQIP and other governing bodies and insurance providers. MBSAQIP administers a national accreditation program that recognizes surgeons and healthcare facilities that provide safe, high-quality surgical care. Our Center of Excellence program promotes universal quality care, which is our number one priority. Please note: Attendance is required for all potential candidates prior to setting up a consult with our surgeons. Our seminars are for people seeking information about weight loss surgery. We ask that, if possible, spouses or committed partners also attend. To register, choose a surgeon below and follow the instructions to sign up. View Dr. Snyder’s online seminar, available 24/7 from the comfort of your home or register for an in-person seminar online or call (303) 280-0900. Register online for an informational seminar with Dr. Metz or call to register at (720) 851-1610. Register online for an informational seminar with Dr. Weaver or call to schedule at (303) 320-7826. Our comprehensive bariatrics team also includes our Program Director, Kim Delamont. Kim coordinates all activities, oversees our daily office operations and manages patient interactions with surgeons and staff. She also manages and coordinates all patient education opportunities. Our bariatrics team also includes our registered dietician, Hilary Rounds. In addition to being a registered dietitian, Hilary is also a diabetes educator at Rose Center for Bariatrics. Hilary is in charge of organizing and teaching all pre-operative and post-operative bariatric surgery nutrition classes, facilitates support groups and checks in on our patients following surgery. Can I afford weight loss surgery? At Rose Center for Bariatrics in Denver, we understand cost is a consideration for most patients considering undergoing weight loss surgery. Our expert coordinators will work to help customize a plan that fits your needs and your budget. Though weight loss surgery may be expensive, it is important to consider the financial costs of continuing to suffer from obesity and its associated complications, like diabetes, sleep apnea, GERD, joint pain or fatigue. Weight loss surgery is an investment in your health that, over time, may ‘pay for itself’–both financially and in quality of life. Use our tool below to help you decide whether you can afford weight loss surgery. These savings are equal to the cost of a LapBand surgery, financed at 8% interest over 3 years. We offer financial options for both self-pay and insured patients, and our bariatric specialists can assist you in navigating either plan. Do you provide weight loss surgery coverage benefits? Rose Center for Bariatrics recommends that you record the name of the individual you spoke with and the date and time of your conversation. If you have any questions or concerns, do not hesitate to contact us at (303) 320-7673 and a bariatric coordinator will assist you through the process. Call our offices for a consultation. Visit your primary care physician and ensure that he or she weighs you and documents your weight in your medical chart. Have your physician recommend an exercise and/or diet regimen, and make sure your physician documents these recommendations in your chart. Get weigh-ins at your physician’s office at least every four weeks. Have your physician document your weight in your medical chart along with your progress and make recommendations on how to improve your progress. A complete note must be written noting your progress and the recommendations given. If the diet and/or exercise regimen is not effectively helping you lose weight, go see your physician again and have him or her recommend an alternative program. Continue the physician weigh-ins. The check-ins need to be frequent and consistent. Have copies of this record available when you come in to see your bariatric surgeon. If your primary care physician has questions related to this process, have him or her contact your bariatric surgeon. Work with our surgeons’ offices to expedite this process at every step. Remember to have your physician document everything in your medical chart. We offer affordable options for our self-pay patients. If you think you may be a self-paying patient and you are committed to considering weight loss surgery as an option, contact us immediately. We can help you expedite the process with our Fast Track program. We offer discounted self-pay pricing packages to help you access care. We offer self-pay payment plans to help you budget for your procedure. We have expert financial counselors to help you navigate this process. About three years ago I weighed over 325 pounds and suffered from uncontrollable sleep apnea...."
For most of my life, I’ve struggled with my weight. One day, I found myself sitting with..."